Pixar has been judicious about succumbing to the siren song of sequels. "Finding Dory" represents an indicator that the animation powerhouse is getting swept up in that tide, for better and worse. Separated by 13 years from "Finding Nemo," "Dory" will probably be disorienting at first for anyone who hasn't watched the original lately. "Dory" yields moments of genuine emotion and a truly deft vocal performance from Ellen DeGeneres in the title role. But the whole exercise can't help but feel more labored and less buoyant. The main challenge, from a narrative standpoint, is that Dory is painfully vulnerable, burdened as she is with a defective short-term memory. What proved endearing and triumphant in a supporting role, at times, feels a bit like an animated "Memento" when elevated to leading-fish status. 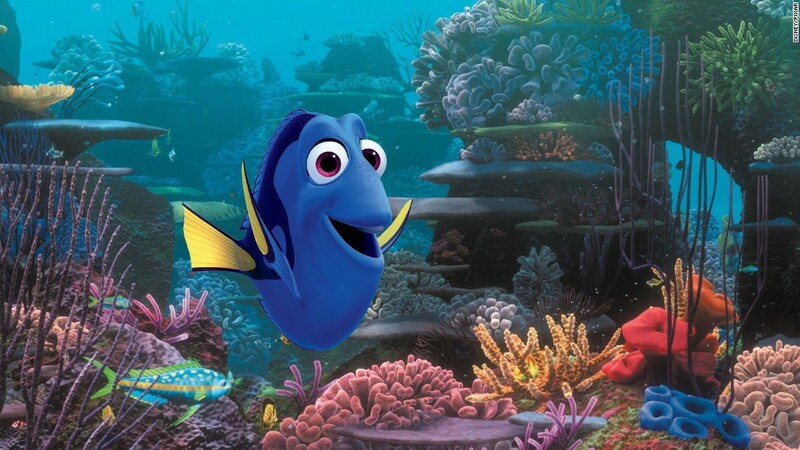 The movie begins with a flashback: Dory's parents (voiced by Diane Keaton and Eugene Levy) seek to protect her, concerned that Dory's condition will lead to her getting lost. In a heartbreaking sequence, that happens, and time passes before the events chronicled in "Nemo," which are elided over with a "One Year Later" jump. Now happily part of a new sort-of family with the clownfish Marlin (Albert Brooks) and his son Nemo (Hayden Rolence), Dory experiences mental glimpses of her family, determined to use those hazy memories to find them. That leads her to a marine institute in Morro Bay, California, and a madcap series of interludes, with Dory chasing her inconsistent images and Marlin in hot pursuit. Pixar films are invariably clever and play on multiple levels, and this one is no exception. There's something deeply moving about Dory's plight. The movie has a perfectly respectable, if familiar, underlying message that family is more than just those with whom one shares DNA. Moreover, the animation quality seems to get better and better. That's especially true of the latest Pixar short that precedes the movie, "Piper," whose technically astounding rendering of waves and sand looks almost completely real. Nevertheless, the story at times becomes too frenetic, with an almost absurd amount of the action taking place out of water. Pixar has cultivated and earned a reputation for creative daring. Yet even that pristine foundation couldn't resist the movie industry's prevailing currents, with a sequel to "The Incredibles," a third "Cars" and a fourth "Toy Story" planned to fatten the box-office haul for parent company Disney (DIS). In terms of getting that job done, "Dory" should deliver. Yet unlike Pixar's best in what has been a glittering run of critical and commercial hits, this latest fish story isn't particularly memorable. 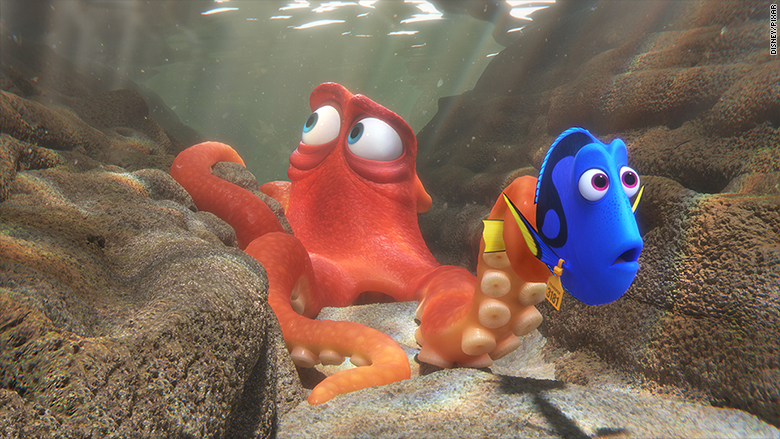 "Finding Dory" will be released June 17 in the U.S. and Canada.